CFD stands for Contract For Difference or spread betting (between 2 parties) whereby one is contractually obliged to pay the other the difference between the daily closing price and the price at which the “contract” was originally taken out. Simply put, if you went long with the broker @ 30pps at 100 quid a point and the share goes up 5pps…he owes you 500 quid and physically credits your account after the close of business..if it goes down then you owe him etc. A bit more complicated than that…but that’s basically the idea. It is a lot less regulated than an exchange traded derivative and the broker concerned accepts personal 3rd party liability based on their own in-house credit evaluation policy. They will generally hedge their exposure by buying/selling or borrowing physical stock. A CFD is in practice a bit different than financial spread betting. The difference between CFD and financial spread betting is not only the fact that with CFD you have to pay tax while in financial spread betting you don’t. It’s also the way you “play the game”. CFD stands for contract for difference which no limit margin is trading which much like financial spread betting uses leverage as the way of making money. Much like financial spread betting the idea is to call short or long against the market’s current value and win if it’s going up or down. You have to pay at least 1% as a security for the investment. 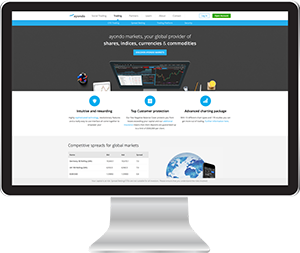 Many companies offer CFD as well as financial spread betting, while the first time resemble real trading and has no time limit (CFD are automatically renewed at the end of the trading day), financial spread betting is limited in time. Both share the stop loss feature which protects against unlimited losses in case the investment went the wrong way around for the gambler. Contract For Difference (CFD) were originally used by large institutions to cover their equity exposure but are now widely available to the retail sector and allows the dealing in Shares, Indices, Sectors, Currencies etc. without having to physically own the Instrument. A CFD reflects the underlying market price of the Instrument and the profit or loss is determined by the difference at which you Buy and Sell. With CFD’s you trade on Margin i.e. you need only put up a deposit of the total value of the position. Each Instrument has a Notional Trading Requirement and a Margin Requirement. In much the same way as Financial Spreadbetting this may be a % or a fixed £ value. Because you do not physically own the Instrument there is no Stamp Duty to pay. Some CFD providers offer no dealing charges. Some offer no commission charges on Indices but apply commission charges when dealing in Shares (Please do check with the providers). You Buy at the Offer Price and Sell at the Bid Price. CFD’s allow the ability to Buy in the anticipation of a price rise and also Sell in the anticipation of a price fall. The markets you can deal in are virtually the same. E.g. UK, USA Europe, Far East Australia etc. When dealing with Indices, Sectors the trade is identical. Much of the dealing terminology is the same. You can place Controlled Risk Trades. When dealing in Shares you deal in the number of Shares not £’s per point. (1000 Shares not £10 per point). CFD’s are an ongoing Contract that will only expire when you actually close it. CFD’s are usually priced based on the Cash price of the market (Financial Spreadbets can be Futures based e.g. Quarterly). CFD’s attract financing charges. A Long position carried over to the following day will attract an Interest charge debited to your account; a Short Position will attract Interest credited to your account. Interest is calculated on the total value of your position. The Interest rate will vary from provider to provider but as a rough guide it will be the official overnight Cash interest rate plus say 1.5% for Long positions and less 2.5% for Short Positions. So if the overnight rate is 4% you will be charged 5.5% on Long positions and receive 1.5% on your Short positions. Interest is calculated and applied on a daily basis. (Please Note: Some Financial Spreadbetting companies offer a Rolling Cash Bet which operates a similar system, however some might automatically close out Daily positions. Longer term bets e.g. Quarterly, have the spread adjusted to reflect interest charges. Interest charges are often referred to as Cost of Carriage. CFD’s allow the owner of a Share CFD to partake in Corporate Actions e.g. Share splits, Dividends. The owner of a Long share or Index CFD will receive dividends in much the same way as an actual shareholder but Short CFD Share and Index positions will have the dividend deducted from their accounts. (Each provider treats Dividend slightly differently so please do check). CFD’s are subject to Capital Gains Tax. Commission Charges may be applied to some or all transactions. 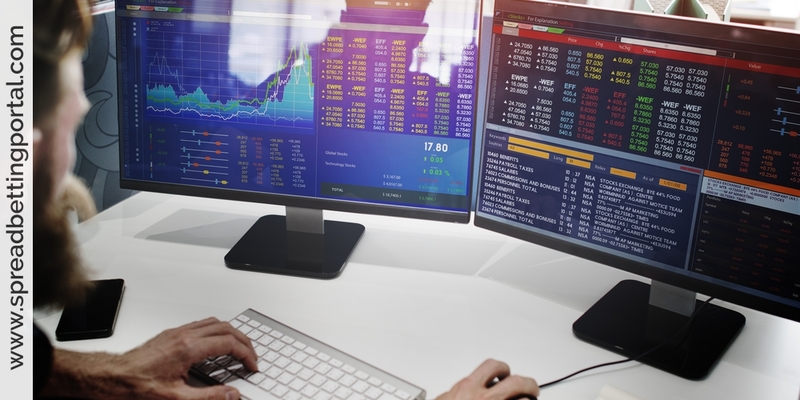 See over for EXAMPLES OF Financial Spreadbetting when compared to CFD Trading. Of course we should add the tax to the gross profit and any other commission before the money gets to the bank, it’s still a nice profit to make in 1 month. So CFD spread betting is similar to financial spread betting but not exactly the same. If you want no limitation on your betting and tax free trading you should choose financial spread betting. If you want to feel what real trading is all about, CFD is for you. Two examples of a CFD trade when compared to a Financial Spreadbetting. The profit is calculated by valuing the positions at the prevailing potential closing price of the position i.e. the Bid Price – Opening Offer price x Size of Exposure. Interest will accrue on the CFD Daily until the position is closed. No interest would have accrued had the position not been held overnight. The Notional Trading Requirement on the Financial Spreadbet is usually at a fixed level e.g. 400 – you would multiply this number by your stake to calculate your Margin Requirement e.g. 400 x £10 = £4000. Value of position = £10 Per point x 8486.5 (the latest Mid price) = £84,865 Interest @ 1.5 % p.a. of the total position = £84865 x 1.5% = £1272.97 p.a. £1272.97 divided by 365 = £3.487. (Please do check exactly how the Interest charge is calculated – there will be differences). The wider spread and higher price on the Financial Spreadbet reflects that it is a quarterly contract and takes account of Interest and Dividends. The profit is calculated by valuing the positions at the prevailing potential closing price of the position i.e. the Offer Price – Opening Bid Price x Size of Exposure. The CFD Bid an Offer Price is the Cash value of the market. An interesting point here on Financial Spreadbetting. Check whether your spreadbetting company automatically ‘Rolls’ their Daily Bets. If they do then you may wish to consider placing Daily Cash bets since you will accrue interest and the margin requirement will almost certainly be less. Capital Spreads certainly offer this facility. Can I make money with financial spread betting? How much capital do you need to do this for a living?